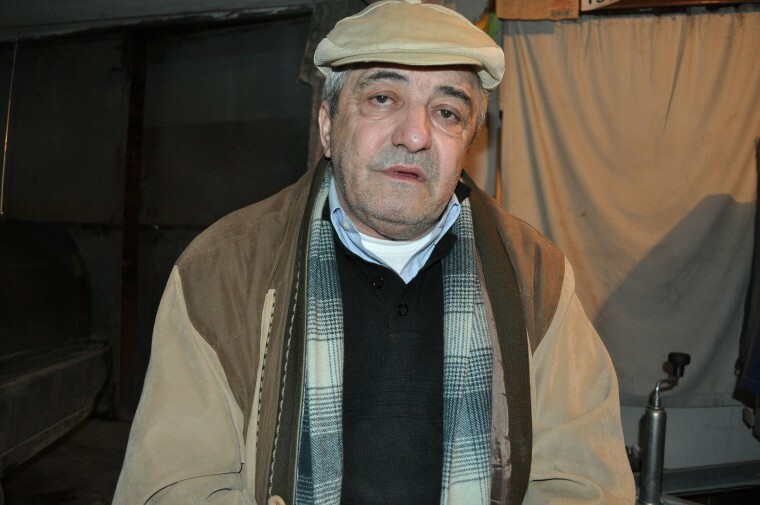 BUCHAREST, Romania — Constantin Reliu learned in January that he was dead. After more than 20 years of working as a cook in Turkey, the 63-year-old returned home to Romania to discover that his wife had had him officially registered as dead. He has since been living a legalistic nightmare of trying to prove to authorities that he is, in fact, alive. He faced a major setback Thursday when a court in the northeastern city of Vaslui refused to overturn his death certificate because his request was filed "too late." The decision, the court said, is final. "I am a living ghost," Reliu told The Associated Press in a phone interview Friday from his home in Barlad, northeastern Romania. "I am officially dead, although I'm alive," he said. "I have no income and because I am listed as dead, I can't do anything." During the interview, Reliu was deeply emotional, starting off by saying "I think I am going to cry" and going on to voice rage and a desire for revenge against his wife, who now lives in Italy. "I am not sure whether I am divorced or not," he said. "I am not sure whether she is married to someone else or not. Nobody will tell me." Reliu explained that he first went to work in Turkey in 1992 and returned in 1995 to the first big shock of his marriage — his wife's infidelity. In 1999, he decided to return to Turkey for good. The AP was not able to locate his wife to hear her side of the story. Last December Turkish authorities detained him over expired papers and in January deported him to Romania. Upon landing at Bucharest airport, he was informed by border officials that he had been officially declared dead and underwent six hours of questioning and tests. They measured the distance between his eyes to see if it corresponded to an old passport photograph; they asked him questions about his home town, such as where the town hall was; they checked his fingerprints. "They decided that it was me!" he said. But authorities in Barlad were less convinced. He spent weeks trying to persuade them to issue him papers so that he officially "existed," he said. When that failed, he asked them to overturn the ruling on his death certificate, issued in 2016, which also ended in failure Thursday on procedural grounds. Reliu said he would like to file a fresh lawsuit but has no money and suffers from diabetes, which makes everything more difficult. He also said he has been banned for life from returning to Turkey but would like to write to Turkish President Recep Tayyip Erdogan to appeal the decision.